Dear Earthling: Cosmic Correspondent was recently launched in style. 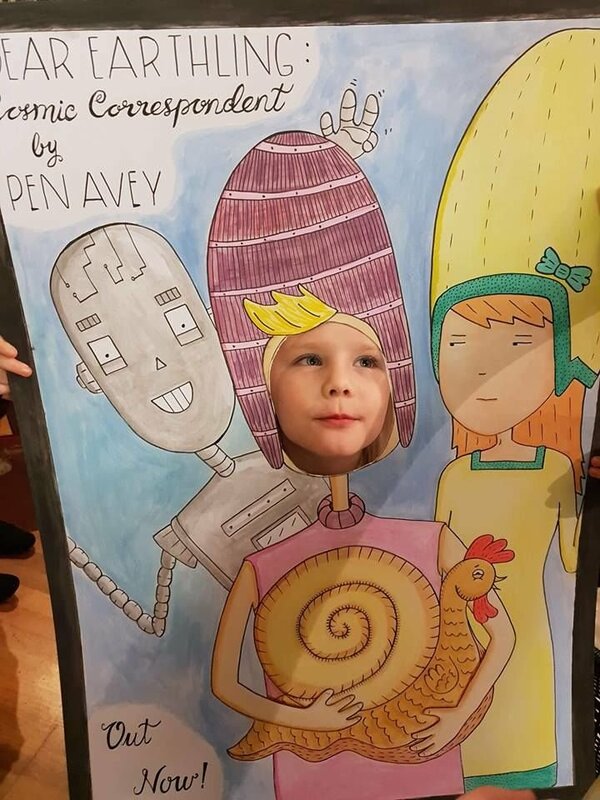 Pen Avey even made a prop, complete with cut-out -- perfect for selfies! Watch this space for news of an OUT OF THIS WORLD competition with BLAMTASTIC PRIZES!! !